Dr. Amanda McFadden, Au.D., received her Bachelor’s Degree in Speech and Hearing Science from the University of Iowa. She went on to receive her Doctorate in Audiology from Illinois State University, graduating in 2018. During her graduate years, she was actively involved in Illinois State’s chapter of the Student Academy of Audiology. Dr. McFadden always knew that she wanted to be in a helping profession. 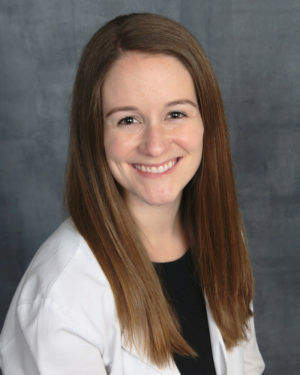 As she was growing up, Dr. McFadden witnessed the effect that hearing loss had on her grandfather’s life, and as a result has an acute understanding of the impact that hearing loss has on communication and relationships. Outside of work, Dr. McFadden enjoys exploring Chicago and visiting friends and family. She loves visiting Colorado for the beautiful weather and views. Her parents live there, near Boulder, so she tries to visit every chance she gets!